Why is learning to speak so important? Despite all the myths about what kind of business it takes to succeed, one of the most important skill is the ability to communicate. 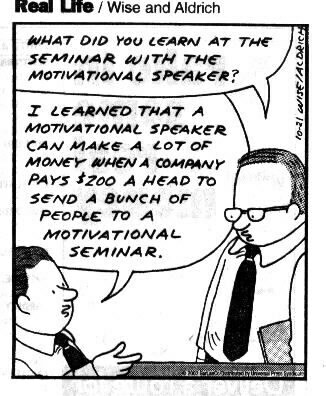 As Robert Kiyosaki writes in his trilogy of "Rich Dad, Poor Dad", the most important skill is the ability to sell (which involves communication), then the next skill is the ability to communicate ideas, and he recommends Toastmasters. By the way, the best way to learn to sell is to do it for other groups. What one does after work lurks as just as important. Currently, I'm trying my hand at selling with H&R Block. I belong to the local Toastmasters in Lower Bucks County. We meet at the Aria Hospital near the Oxford Valley Malll, off Route 1, in between Philadelphia and Trenton NJ, nearly every second and fourth Thursday at 7 PM. We meet in the basement. In case you're wondering, Matthew Wayne Shepard would be welcome at Toastmasters. He already had many of the skills, so I'd expect him to do well. Here's the link to my local chapter. Many people would rather fear death than public speaking. Well, Aron Ralston has done both. 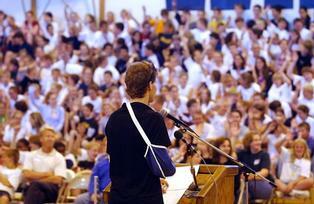 After facing death for five days in Bluejohn Canyon in Utah, he spoke for the first time in public to his middle school on Tuesday, 3 June 2003. If one looks at the text of the speech, it is quite obvious that Mr Ralston is very intelligent, charismatic, and an excellent teacher. I expect to learn much from him. I've emailed him a few times, urging him to share his gifts with us, as he urged the students to do the same in this speech. Toastmasters does not discriminate. It requires only that its members are at least 18 years old. The goal of Toastmasters is to improve speaking, thinking and listening skills.